Every time I hear about Sundarbans, it excites me as the name itself casts a magical spell. 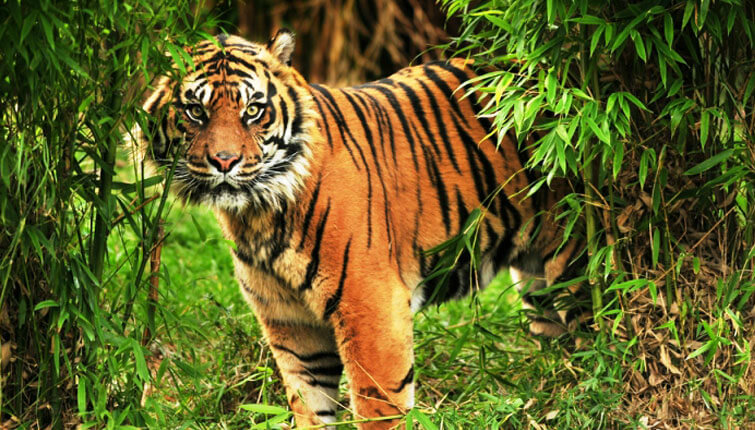 Being a UNESCO World Heritage Site and a renowned place for tiger conservation under the Tiger Project, the destination is a choice for every tiger lover for catching the glimpse of the magnificent creatures along the delta’s banks in India and Bangladesh. The awe-inspiring sight of tigers swimming and relaxing in the brackish water of Sundarbans and some wild animals roaming around may raise goosebumps in your body. Enclosed by thick mangrove forest and huge saline mudflats, Sunderban offers you an experience of witnessing the best of both flora and fauna including 260 bird species and other threatened species such as the estuarine crocodile and the Indian Python. But, with this there are some other interesting facts about Sundarbans which would give you more reasons to plan a trip to Sundarbans right away. You’ll be amazed to know that Sundarbans (India) is 10 times bigger than the city of Venice. Comprising 4000 sq. km, the Sundarbans Forest on Indian side has 102 islands, out of which 54 are inhabited and rest of the area is covered with the forest. Sundarbans has got the world’s largest coastal mangrove forest (an area of about 10,000 km2, with enormous beauty shared between India (4,000 km2) and Bangladesh (6,000 km2 ). The interconnected network of waterways in Sundarbans makes almost every corner of the forest accessible by ferries and boats.This gives the traveller a good opportunity for sightseeing and getting thrilled by the exotic wizardry of the jungle. Being one of the distinctive and natural resource endowments, Sundarbans Biosphere Reserve is considered to be India’s Largest Fishery Board because of its brackish water fish production and marine fisheries. Sundarban Jungle has been named after the large mangrove trees Sundari (Heritiera littoralis). Gosaba (13 ft from the sea level) is the biggest and last inhabited island on Sundarbans (Indian part). You would find it right where the dense forest reserve starts. Even though the island is isolated from the mainland, it has its own panchayat, schools, hospitals, local self-governance and more. Sundarban has unique Tidal Phenomenon twice a day – there are high tides when water level seems to rise around 6-10 feet and low tides when one can see the huge mud land area lying flat. 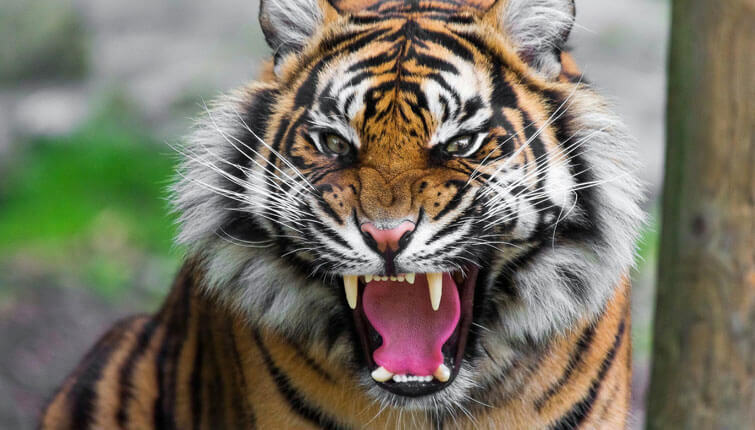 It is believed that most of the families have been attacked by the man-eater tigers in one of the villages (the Widow Village) of Sundarbans, which is a home to India’s resilient Tiger Widows . For this reason, fishermen need to take a special permission from the reserve forest office department for fishing into the core zone forests. This isn’t to scare you, you can freely go to Sundarbans without any worry. Cyclone Sidr damaged 40% of the Sundarbans in the year 2007. The high tide impacted the agricultural lands of Sundarbans with salty water which took almost 2-3 years for the villagers to practice agriculture again. Right after the incident, the local people had set up dikes to prevent the high tide waters from coming inside the village, a step for the conservation of the Sundarbans. To stay in Sundarbans one needs to take permission from the forest range officers. 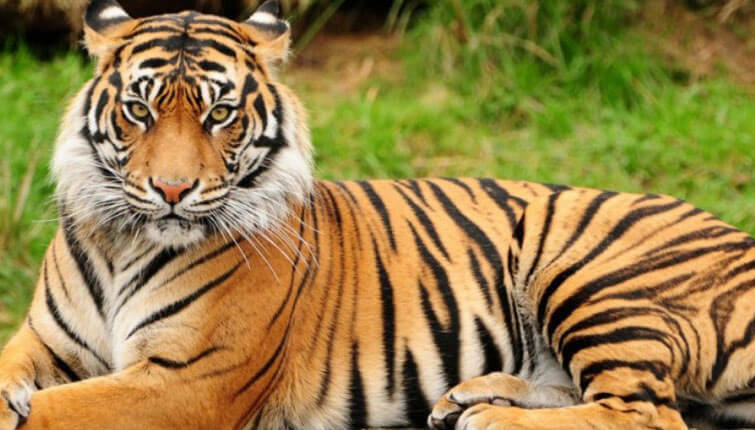 Sundarbans was declared as a core area of Sundarbans Tiger Reserve in the year 1973, a National Park on 4th May, 1989 and recently Sundarbans has been enlisted among the finalists in the New Seven Wonders of Nature. Several novels have been written by authors in the setting of Sundarbans that are based on the rigors of the lives of villages and fishermen which include The Mystery of the Black Jungle by Emilio Salgari, Sundarbane Arjan Sardar by Shib Sankar Mitra and Padma Nadir Majhi, by Manik Bandopadhyay. Also, the Booker Prize winning novel, Midnight’s Children by Salman Rushdie’s and The Hungry Tide by Amitav Ghosh are set in the Sundarbans. Visit the face of West Bengal, Kolkata (approx 100 km away from Sundarbans). Right from the British Raj buildings to the historic colleges, from its exquisite gardens to the delicious food and sweets, Kolkata has all the necessary factors to be a must visit place in West Bengal. 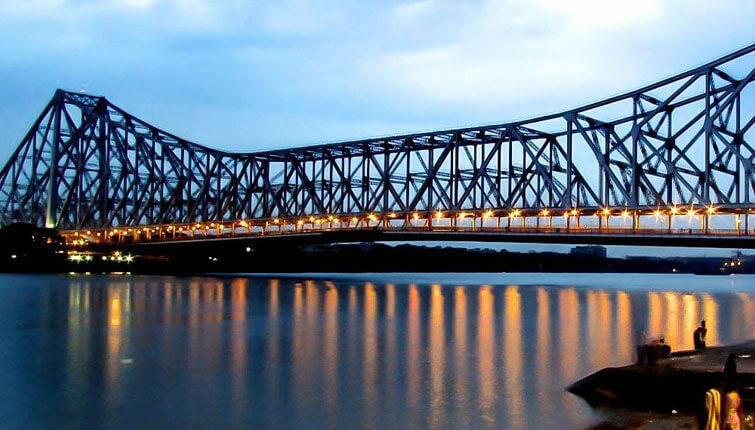 The major attractions of Kolkata are the Howrah Bridge, Indian Museum, Birla Temple, Victoria Memorial, Eden Gardens, Marble Palace Mansion and Jorasanko Thakurbari. 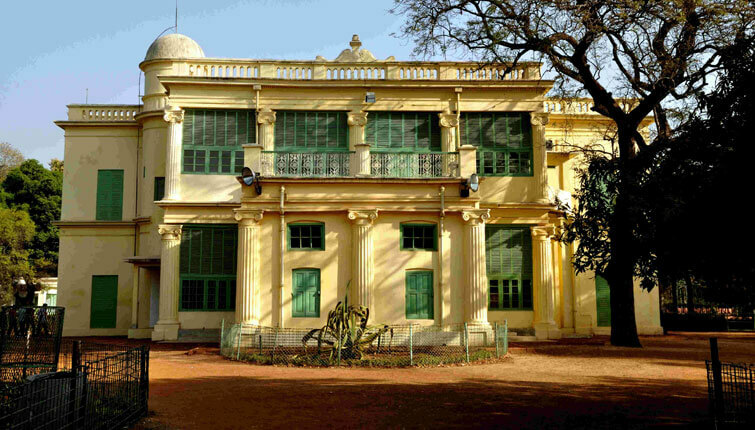 The treasure trove of Rabindranath Tagore- a Nobel Laureate, i.e., Shantiniketan (approx 355 km away from Sundarbans) is a must visit. Get delighted by taking a deep look at the splendid sculptures, murals, beautiful paintings of Nandalal Bose, Ramkinkar, Benode Behari Mukhopadhyay and none other than Rabindranath Tagore. 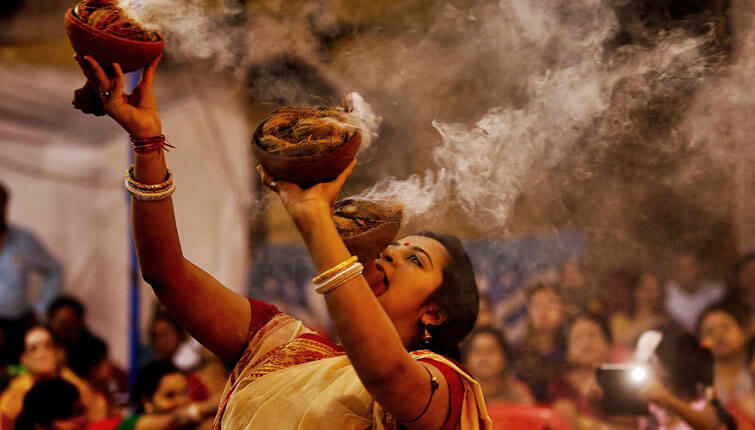 If you happen to visit in the month of December then you can enjoy the Poush Mela, the Joydev Mela in January and Basanta Utsav in March. Plan a trip to Darjeeling (approx 302 km away from Sundarbans), which is a much-celebrated hill station of not only West Bengal but also India. The place is blessed with tea estates, white magnolias, colonial-era buildings and more that makes it a perfect holiday destination in India. Oh, don’t forget to experience the ride in the Toy-Train. 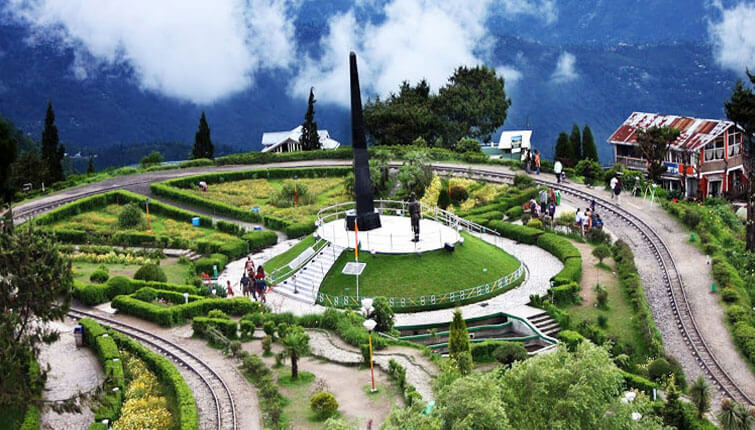 Other than these, the major tourist attractions of Darjeeling are the Tiger Hill, Everest Museum, Barbotey Rock Garden, Padmaja Naidu National Park, Neora National Park and last but not the least the Japanese Peace Pagoda. Escape to the longest drivable beach in India which is 156 km away from Sundarbans. 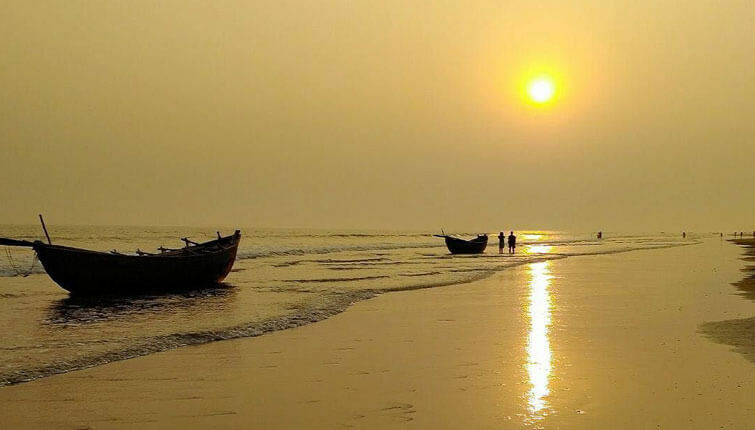 Mandarmani beach is perfect if you wish to sit and watch the sunrise. If you are thrilled to try out some adventurous activity then try out the water sports like jet skiing, banana boat rides, surfing and bungee trampoline. To watch out the spectacular views of the Himalayas, make a visit to Siliguri which is located at the Mahananda River and 681 km away from Sundarbans. 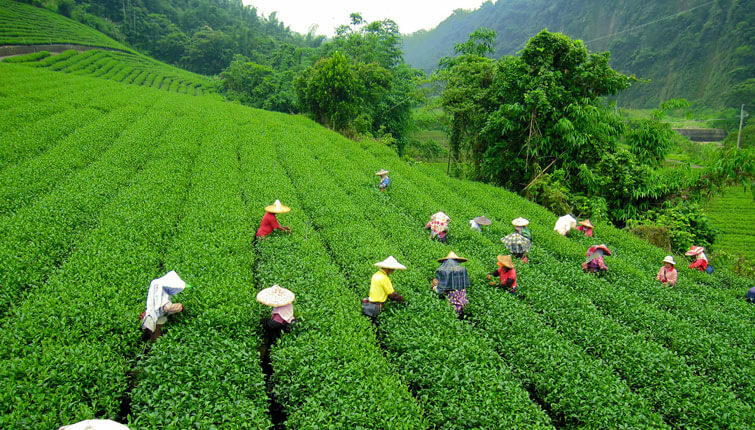 Yet another place that is famous for tea gardens and thick forest. The tourist attractions of Siliguri are Jaldapara Wildlife Sanctuary, Coronation Bridge, Kanchenjunga Stadium, Iskcon Temple, Hong Kong Market, Fulbari Barrage and the list goes on. A place famous for the best weekend getaways is basically a seaside city which is 177 km away from Sundarbans. If you plan to visit Digha, make sure you don’t miss out on trying the fried fish prepared by locals and sip on coconut water. 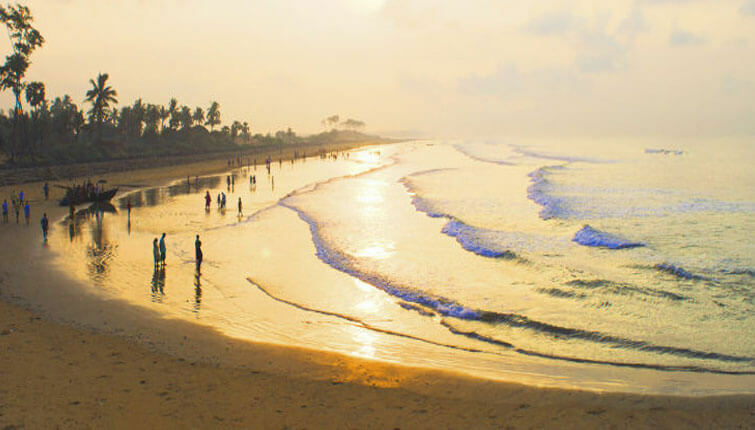 Other major attractions of Digha are Temple at Chandaneswar, Marine Station or the Aquarium of Zoological Survey of India. A visit to the most heard and famous places in West Bengal i.e., Hooghly. Located at the distance of 156 km from Sundarbans, the place has the historical significance as it was colonised by the Portuguese, French and the Dutch, and if you happen to visit Hooghly you can simply see the influence by the architecture it presents. 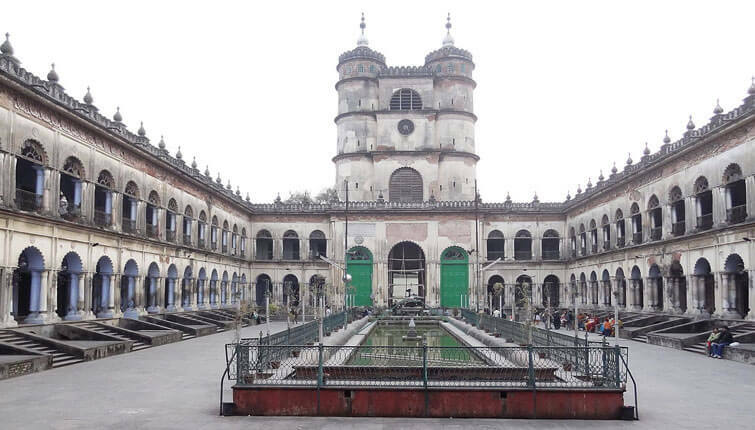 The tourist attractions to visit in Hooghly are Hangseshwari Temple, Hooghly Imambara, Deer Park, Tarkeshwar Temple, Srirampura and more. Kalimpong– a lovely hill station in the lower Himalayas. Kamarpukur– an ancient place that invites all those who want to explore history. Jalpaiguri– best place for the nature lovers. Mirik– another most visited and beautiful hill station in West Bengal. Cooch Behar– explore the land influenced by the Mughals. Give us a call at +91- 9212777225 or you can even drop us an email. Our team will always be there to support you throughout your trip right from the scratch.